Cresco, IA/June 10, 2009 – Featherlite® Trailers’ 2010 offerings suggest this is a company as tough as its products. Instead of adopting a “stay the course” attitude for 2009, Featherlite has unveiled new trailers, new options and bold new customer benefits. Among Featherlite’s biggest innovations are the new “Step-Safe” rear gates, featured in their livestock trailers. Featherlite is offering this popular option for their rear gates in addition to the center gates. “Step-Safe” gates help prevent livestock slippage, and they’re convenient for farmers and ranchers too. The new transferrable warranty program also showcases Featherlite’s commitment to the customer. Featherlite’s eight-year limited warranty now stays with trailers when traded in at a Featherlite dealer for a new Featherlite trailer. Rounding out Featherlite’s star innovations is the new power lift package on the 3110 car trailer. This option tilts the trailer bed down to the ground, eliminating the need for ramps. It’s a feature that will especially appeal to farmers, contractors and landscapers. The 2010 Featherlites also come with new standard features. One of these eye-catching features is offering chrome glass windows as standard equipment. This feature was previously restricted to Featherlite’s premium Medalist trailers, and it adds a lot of style to trailers. Standard chrome glass is a feature unique to Featherlite—no other company provides this! Featherlite has pioneered innovative new manufacturing techniques, creating models that are more economical for trailer owners. These trailers will still provide all the essential features consumers have come to expect from a Featherlite. Among these new trailers are the 8117 stock trailer and the 8414 and 8415 combo trailers. Featherlite has also applied these new innovations to an existing trailer, Model 8107, making it even more affordable. Sierra “Lite” Living Quarters will be welcome to trailer buyers on a budget, too. This option is for horse trailer owners who want frugality without sacrificing all the frills. Trailer buyers will love Featherlite’s extended options. WERM flooring eliminates the need for rubber mats, yet still offers a padded ride for horses. And options such as new color selections, tri-color trailers, painted “wave” side panels and aluminum wheels give trailers an eye-catching look no matter where people go. Featherlite is aggressively targeting niche markets with their new releases. North American residents above the Mason-Dixon Line will love the “Freedom” trailer for ice fishermen. This comfortable trailer boasts sofa and swing-down beds, a kitchenette, bath and a flat screen TV. It also has fresh water and electricity inputs, and a hydraulic lift lets the trailer sit flush against the ice. Why get bored waiting for the fish to bite? The Freedom serves double duty in the summertime as a toy hauler, perfect for ATVs, motorcycles or bicycles. It also makes a wonderful trailer to take on extended camping or hunting trips. Another trailer well-suited to outdoor activities is the 1609 “Mod Pod,” especially with its new camper package. The “Mod Pod” transforms from trailer to camper in minutes and is tough enough to take off the beaten path. This is a trailer for cyclists, hikers and other explorers. Also new for 2009 is Featherlite’s redesigned radius-style pickup truck bed. The bed offers a “headache rack”, stake pockets and a trap door to install a gooseneck or fifth wheel connection. 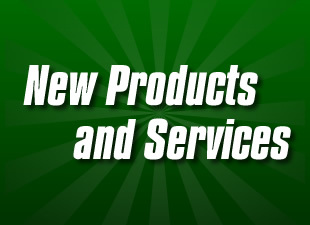 For more information about all of Featherlite’s 2010 products and features, visit Featherlite online at www.fthr.com or call 1-800-800-1230.